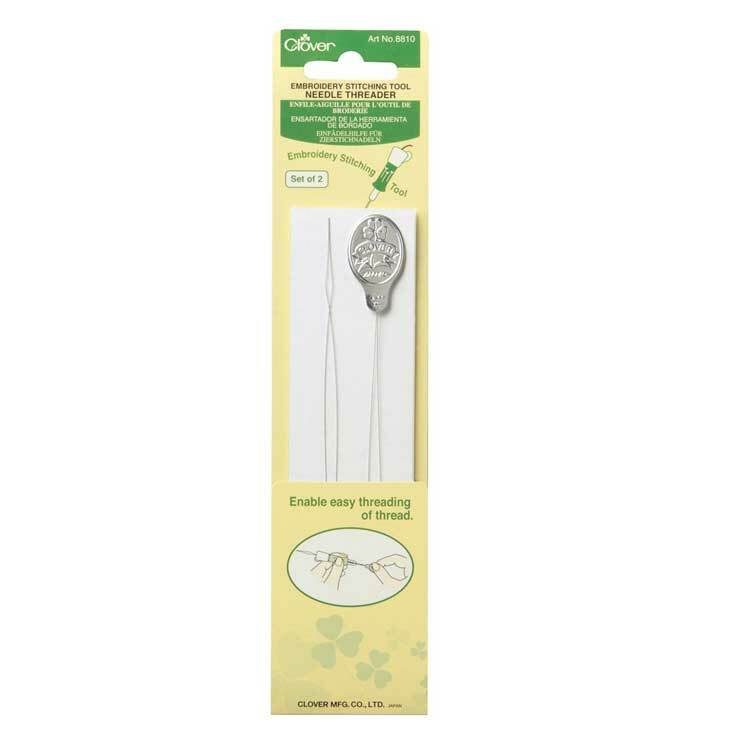 Clover Embroidery Stitching Tool Needle Threader. 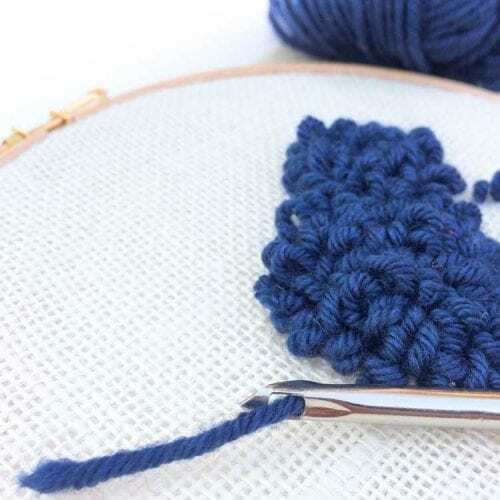 Start making beautiful projects with the punch needle technique! This is a set of 2 needle threaders to use with the Clover Embroidery Stitching Tool . This needle threader is specifically designed for using with the clover punch tool. 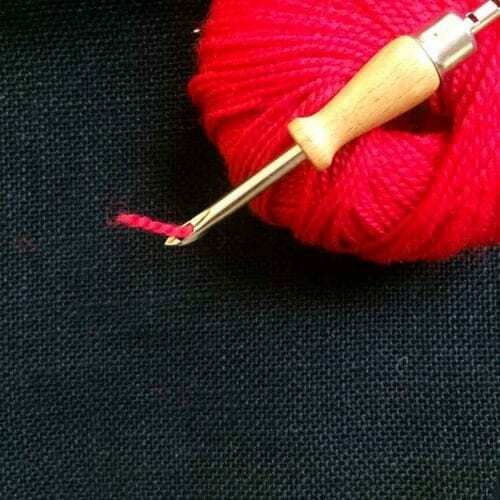 Hence it is a lot longer then the regular needle threader you might use for your sewing needles. This is just a set of 2 needle threaders, you will need the stitching tool in order to use it. Follow this link for more materials for punch needle projects, including fabrics, and embroidery hoops.